Not sure what to get that special someone? 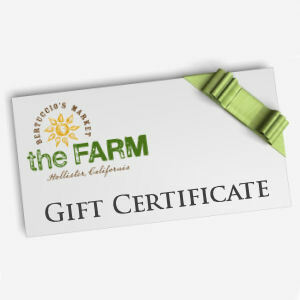 The Farm Bertuccios Gift Certificate could be the perfect choice! Reward Points 75 points will be rewarded to you when you buy this item.